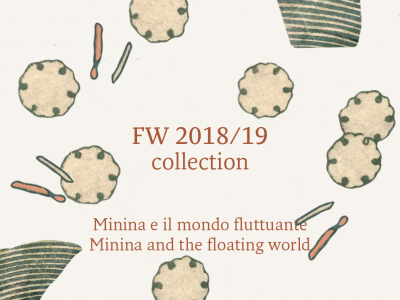 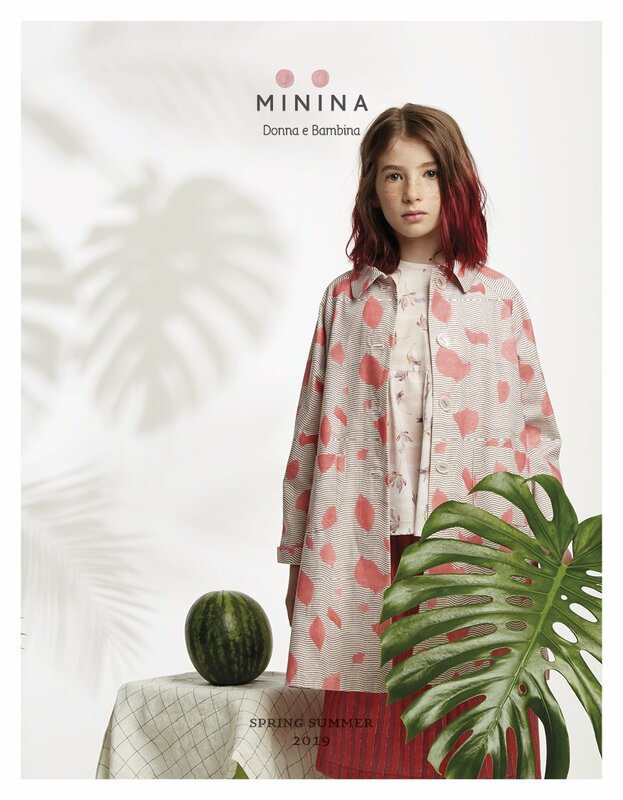 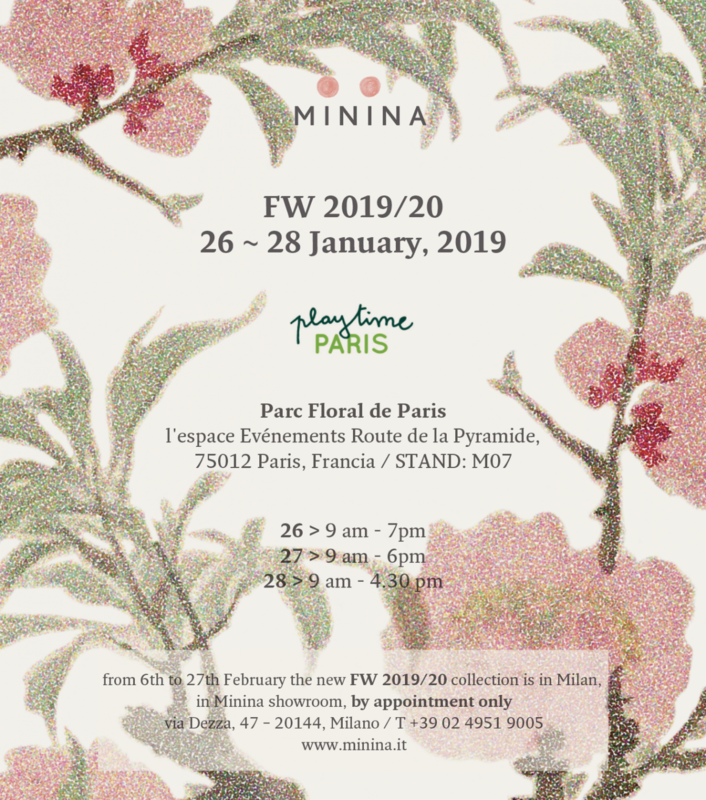 Minina presents the FW 2019/20 collection in Paris from 25th to 28th of January. 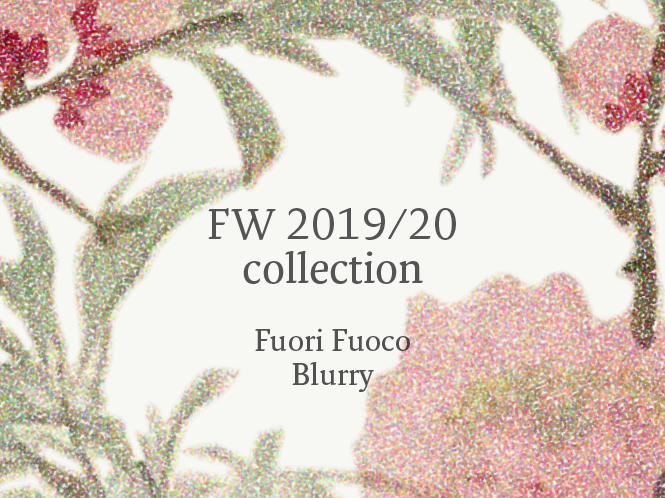 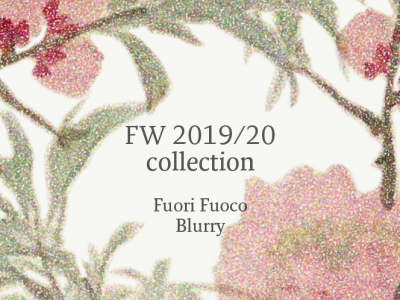 The magic of oriental atmospheres blends with more modern graphics inspired by “blurry” photographs and by dots with an effect aimed at giving a fresher and more contemporary image. 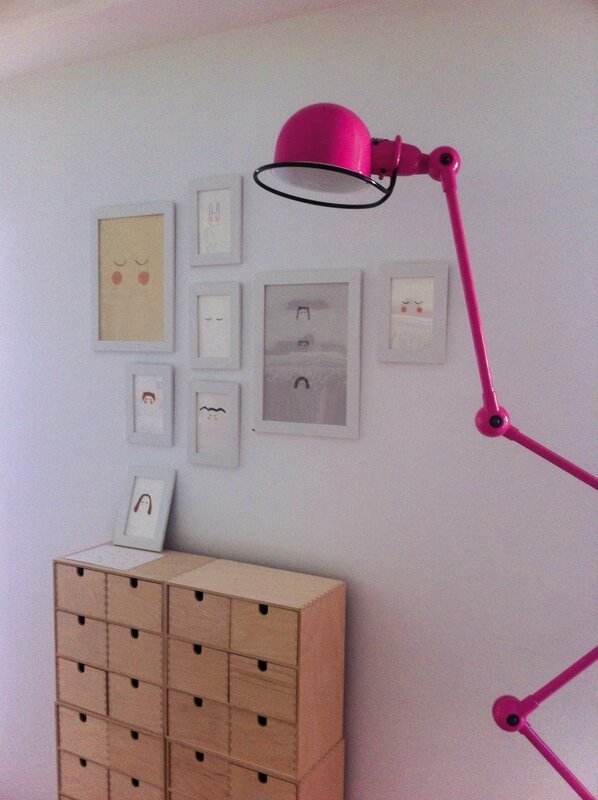 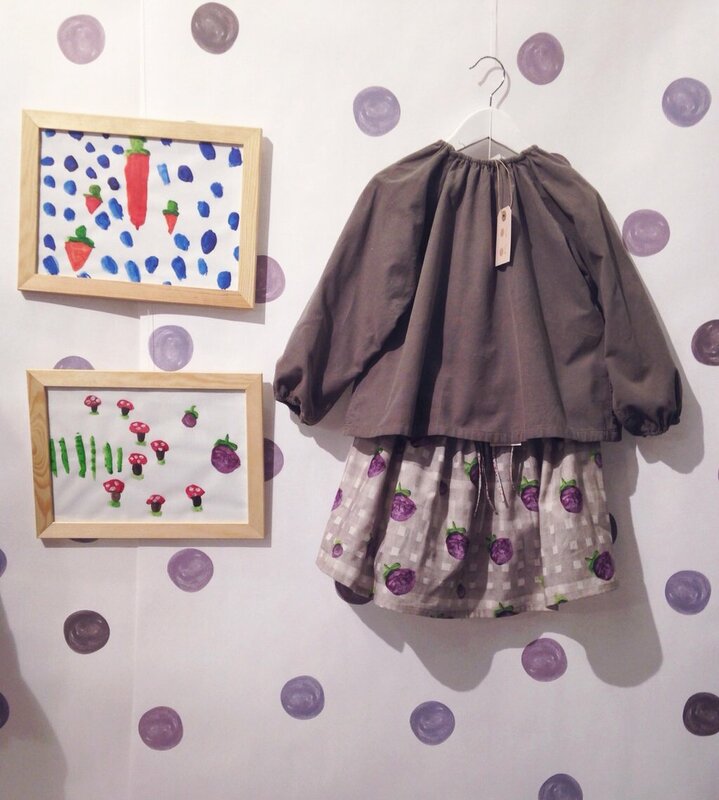 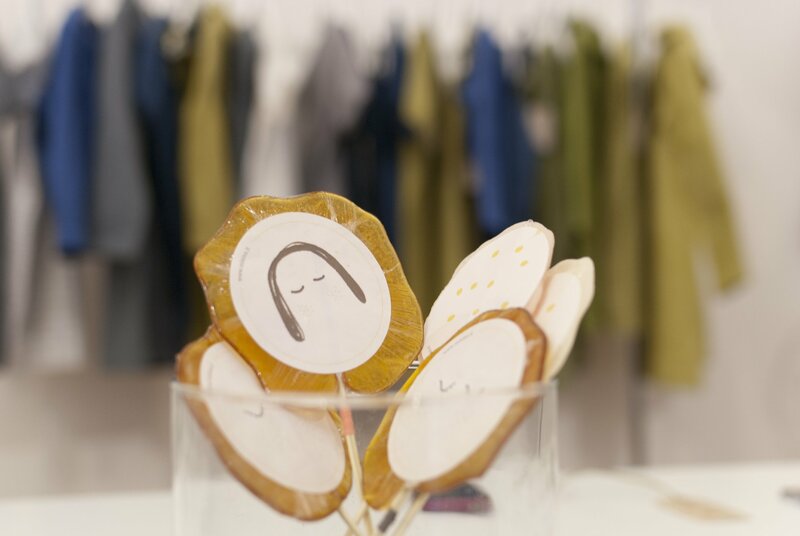 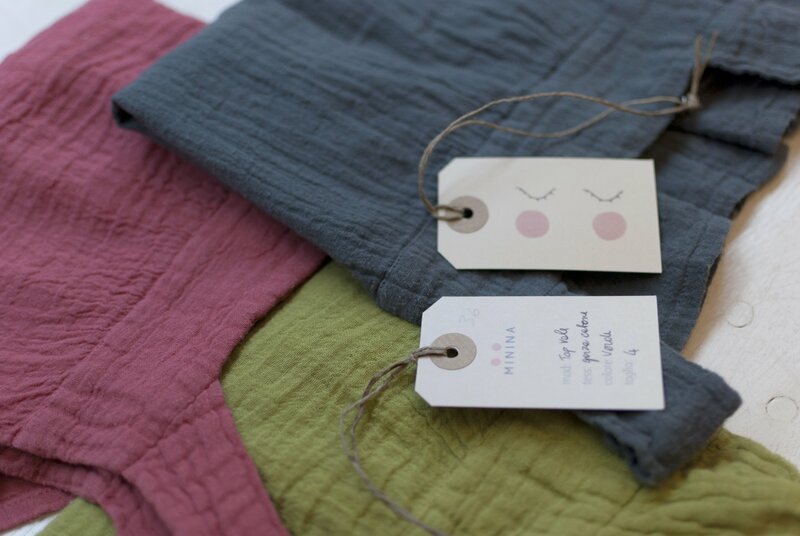 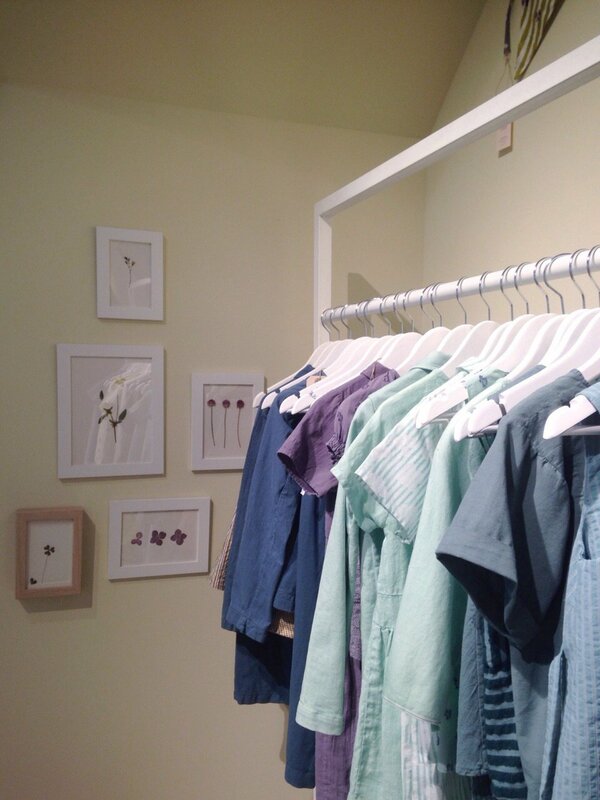 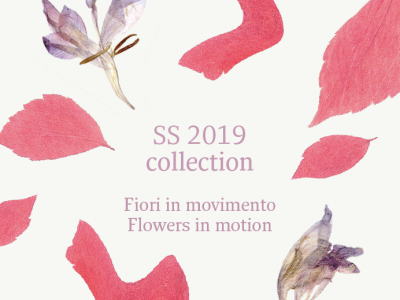 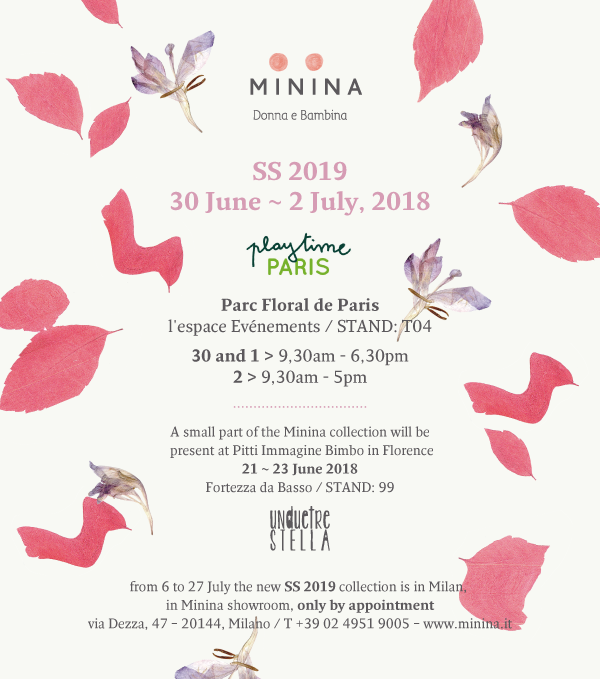 The Minina collection Flowers in motion will be at the Paris Playtime from June 30th to July 2nd. Light prints and fabrics, simple and essential shapes, original colors and a new garment characterize the new SS2019 … come and visit us! 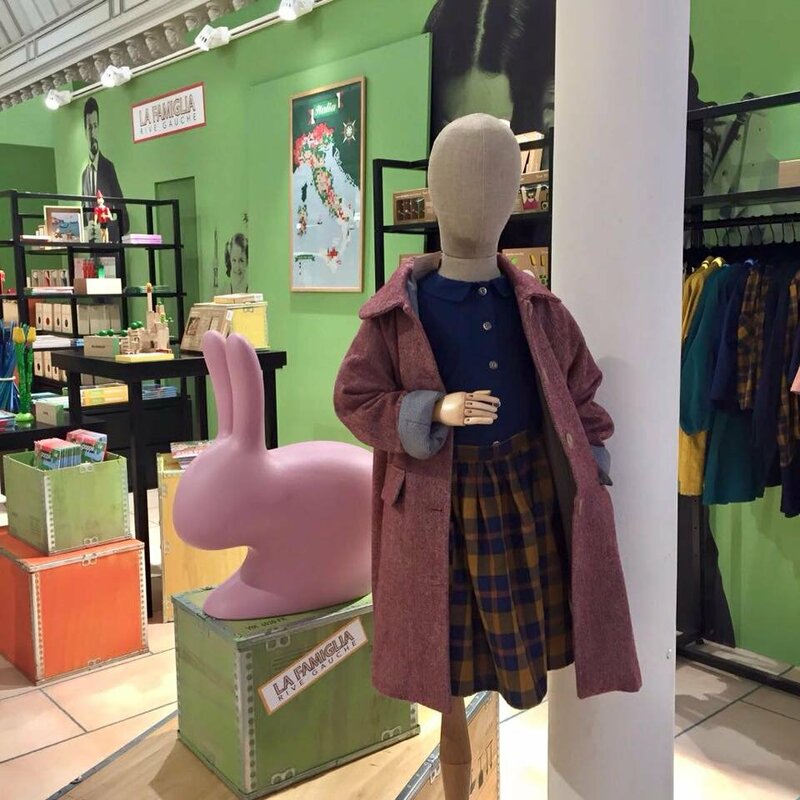 100% italiano: a Parigi le Bon Marché sceglie il made in Italy! 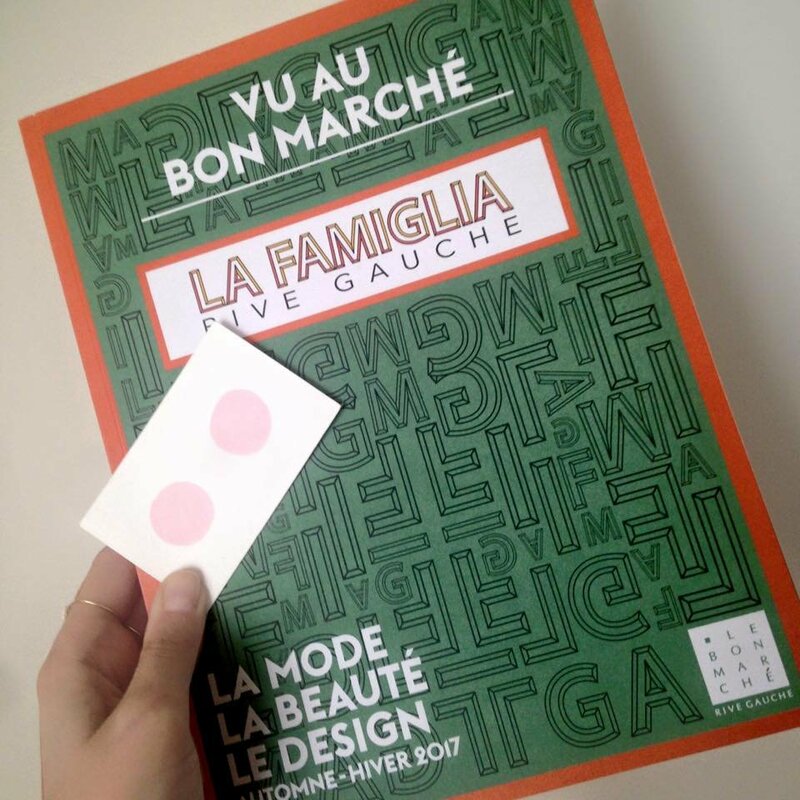 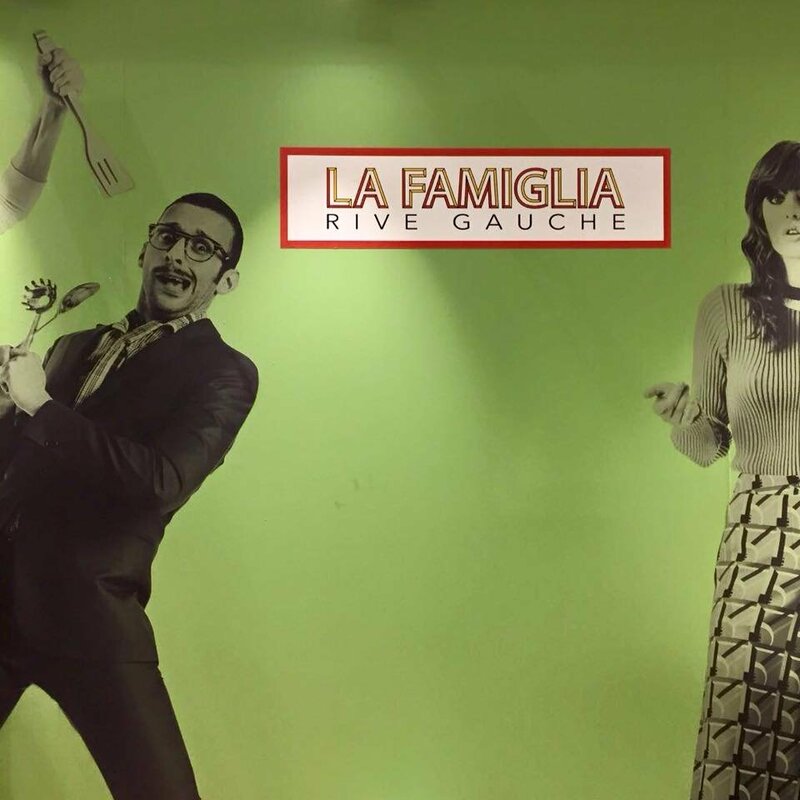 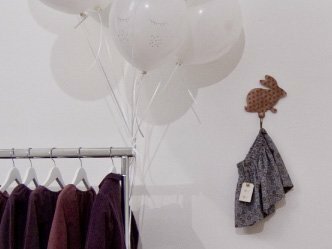 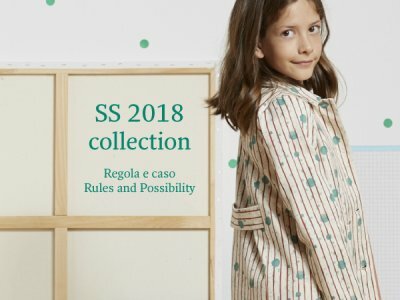 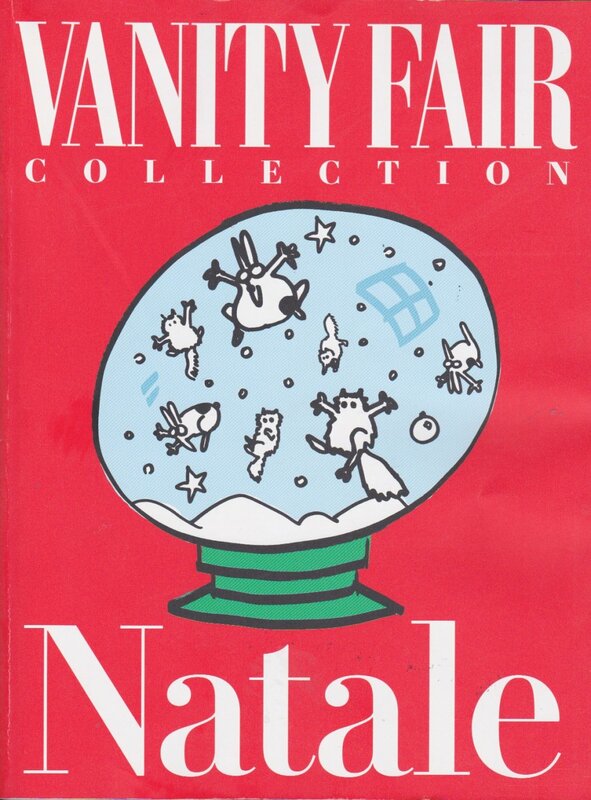 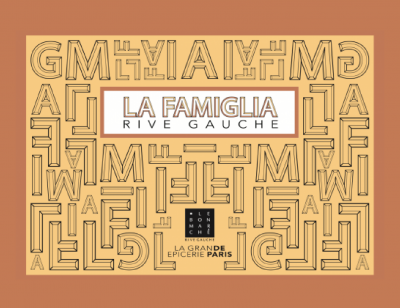 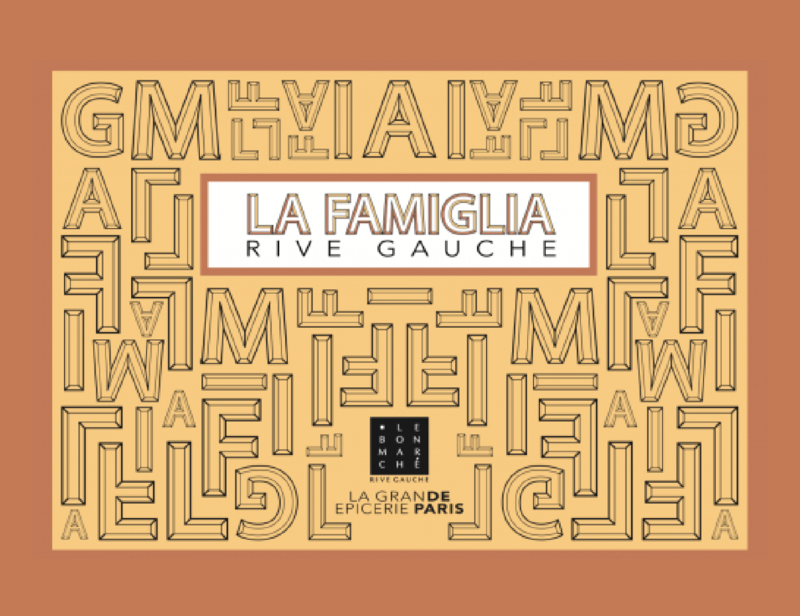 Dal 6 settembre al 20 ottobre Le Bon Marché Rive Gauche e La Grande Épicerie raccontano l’essenza dell’italianità in Francia. 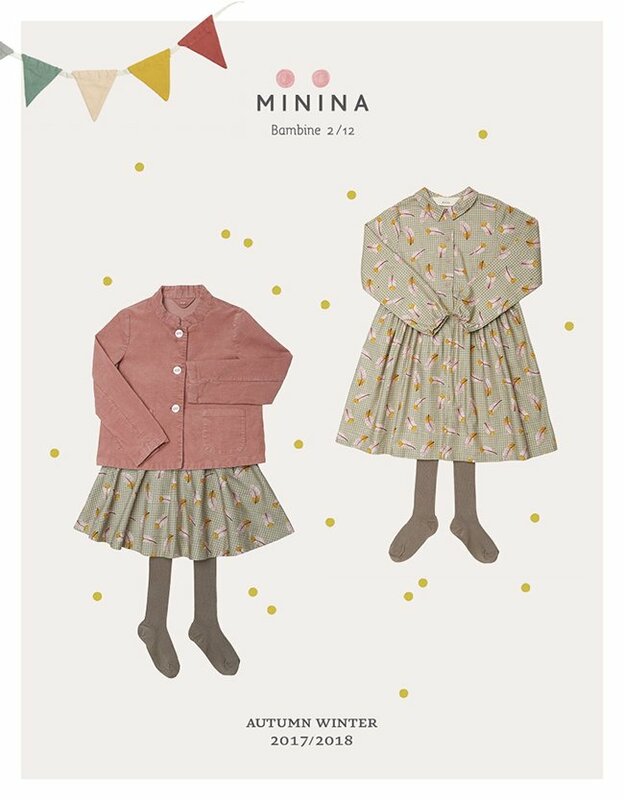 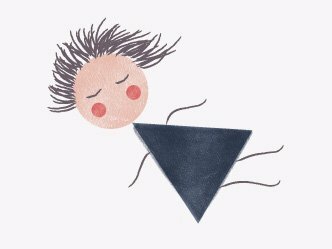 Tra i marchi selezionati c’è anche Minina! 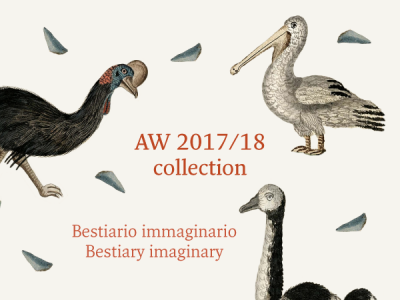 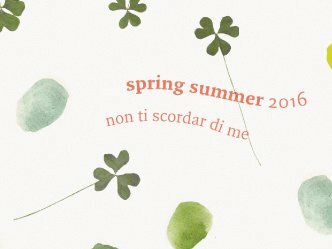 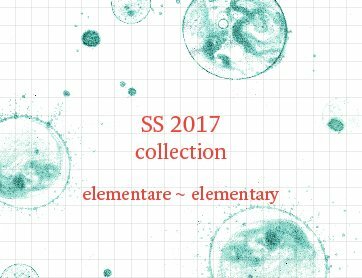 Our SS 2017 collection on Insieme! 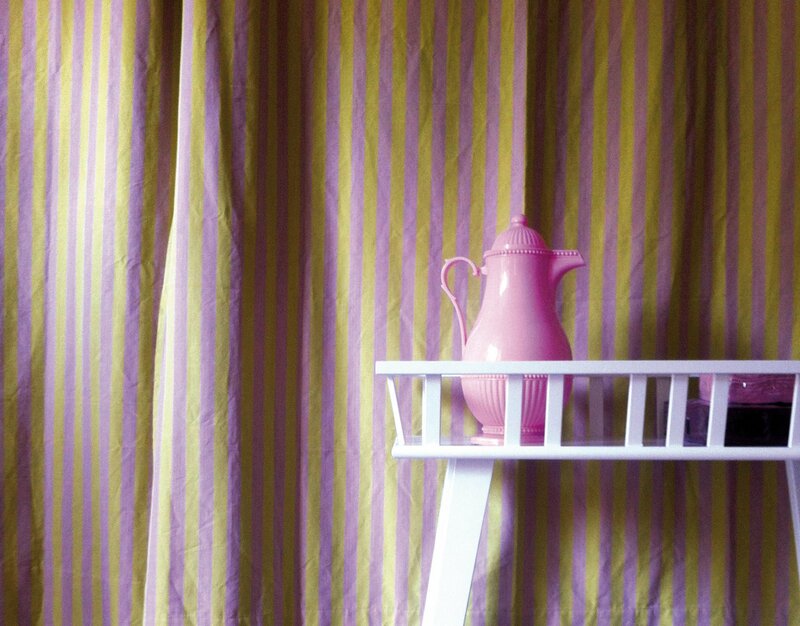 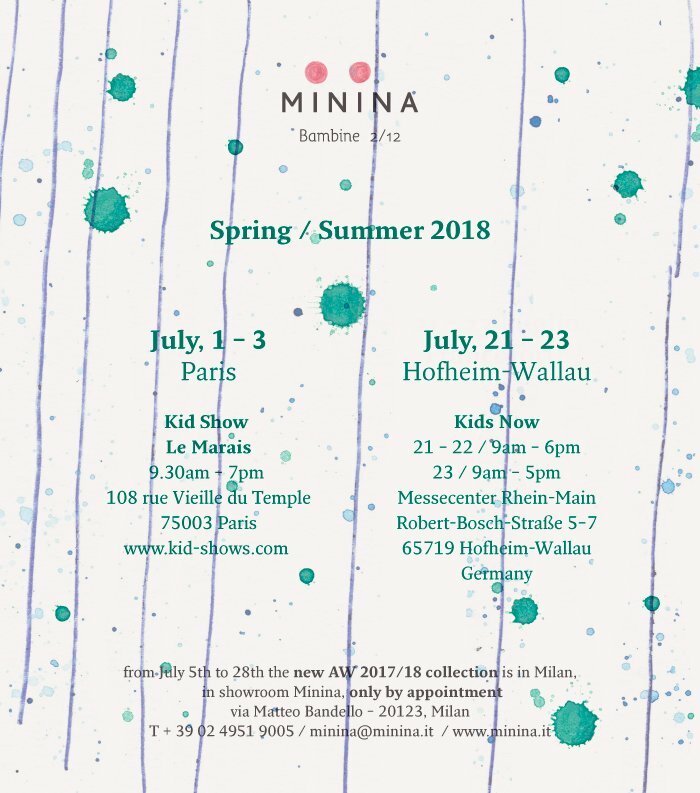 This year Minima will present the new collection in Paris and Germany at Hofheim-Wallau! 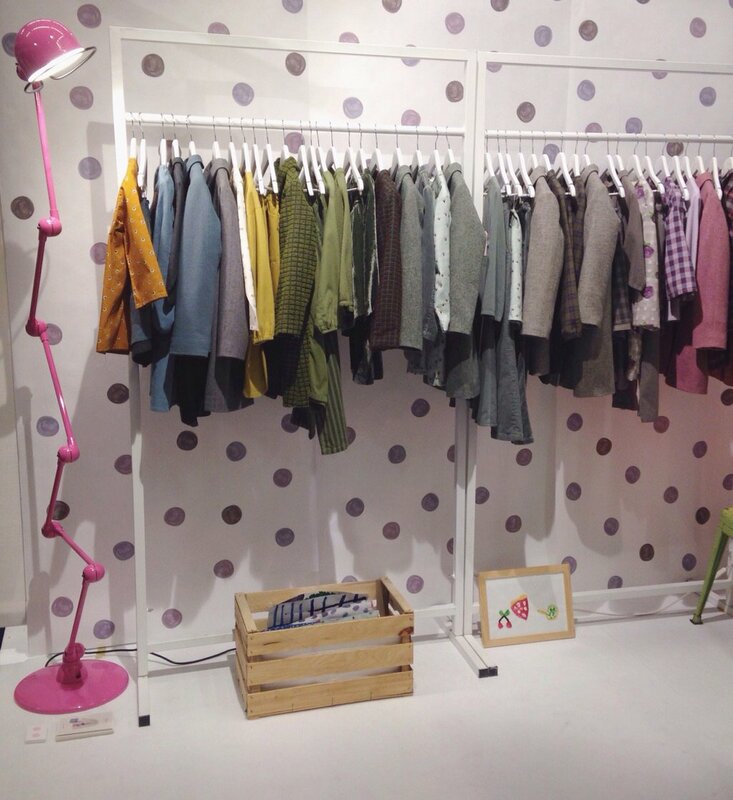 Come visit us to see our PE 2018, among rules and drops of intense color. 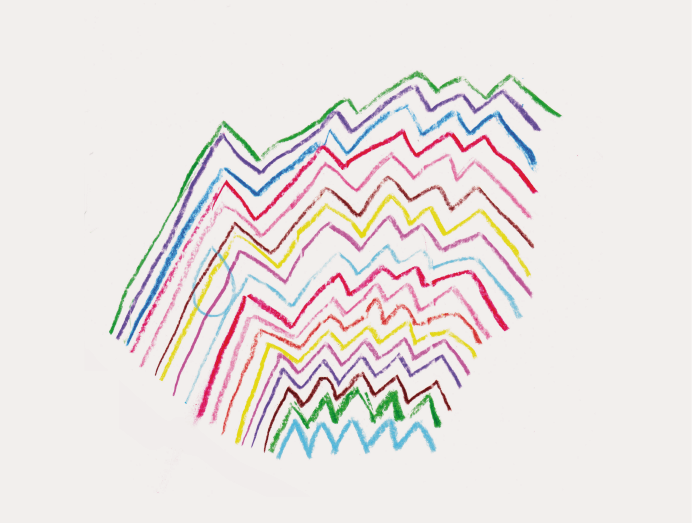 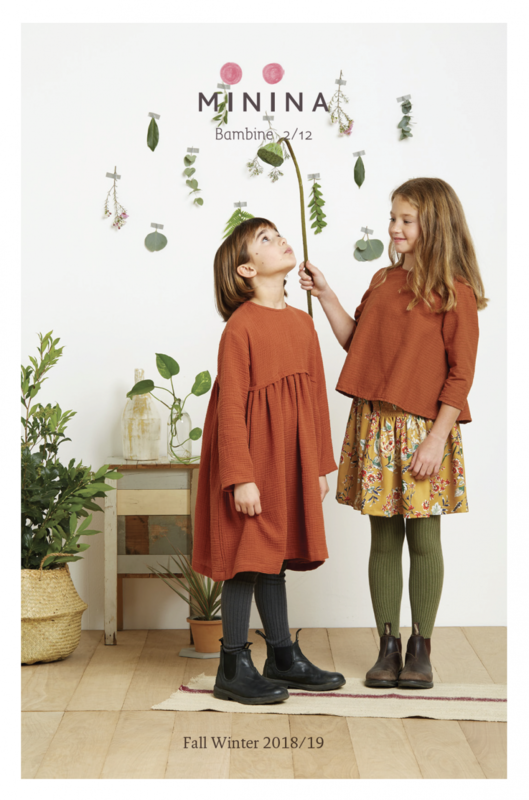 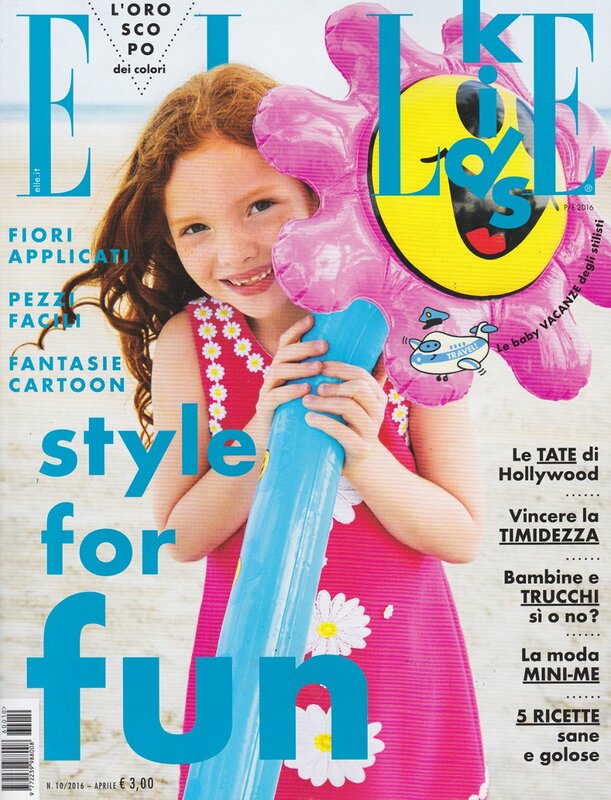 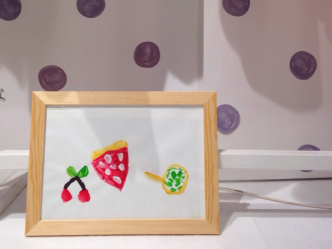 Elle kids published the minina collection of this summer. 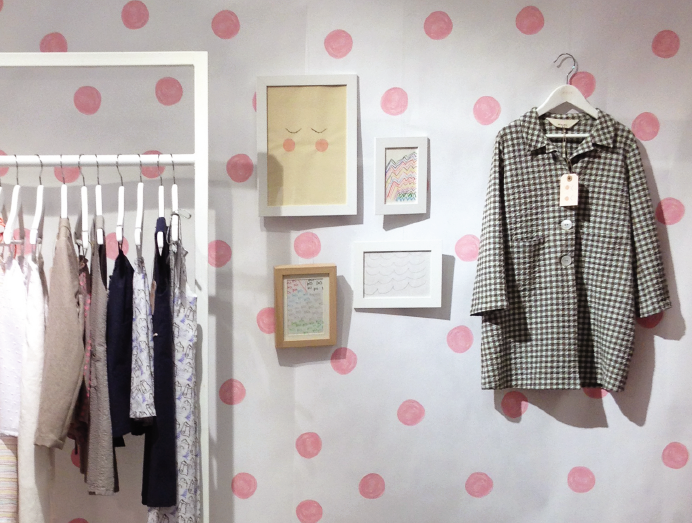 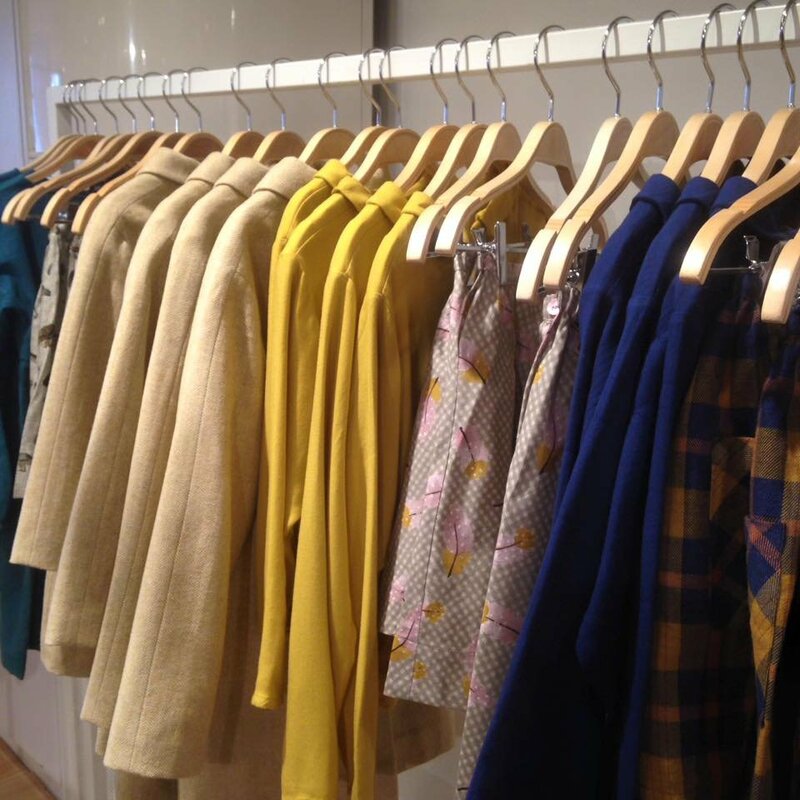 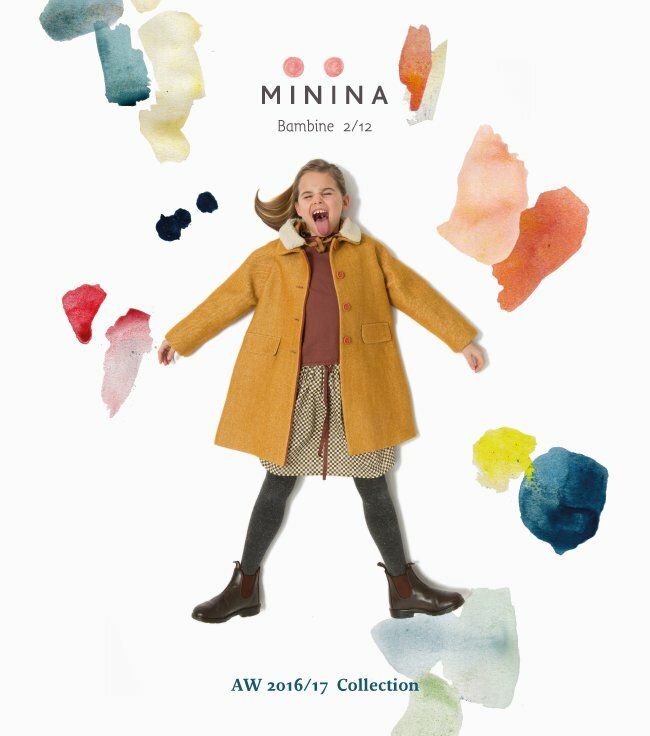 This year Minina presents the new AW 2016-17 collection in Paris! 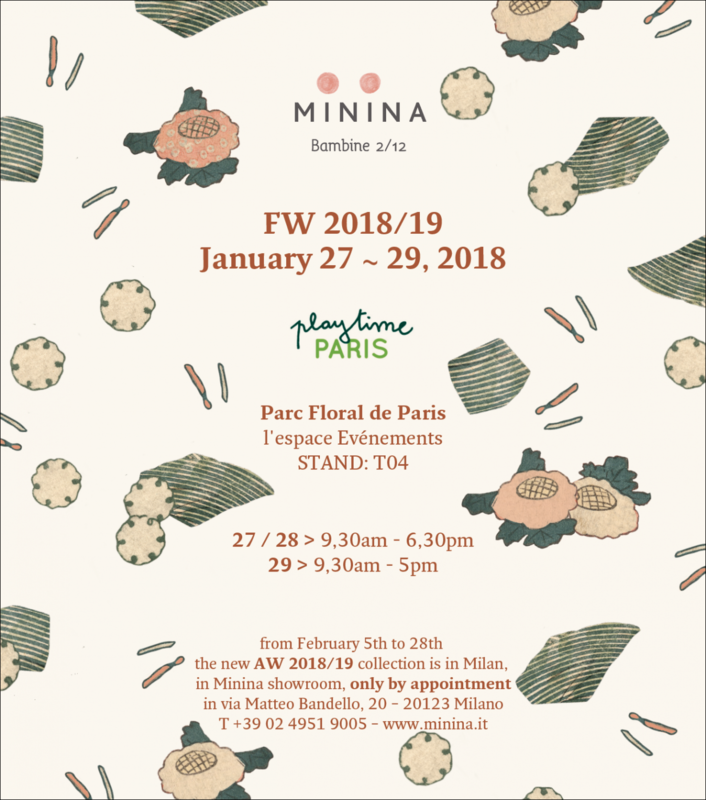 Visit us from the 24th to the 26th of January at” Tapis Rouge “, 67 Rue du Faubourg – Saint – Martin. 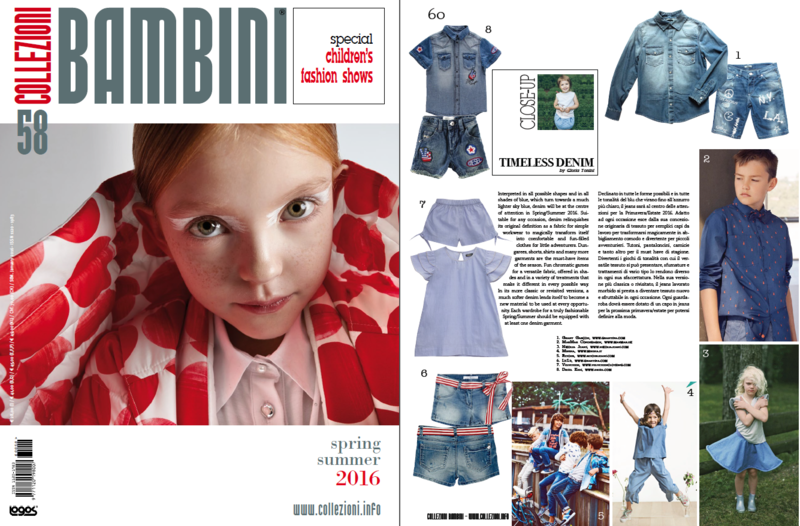 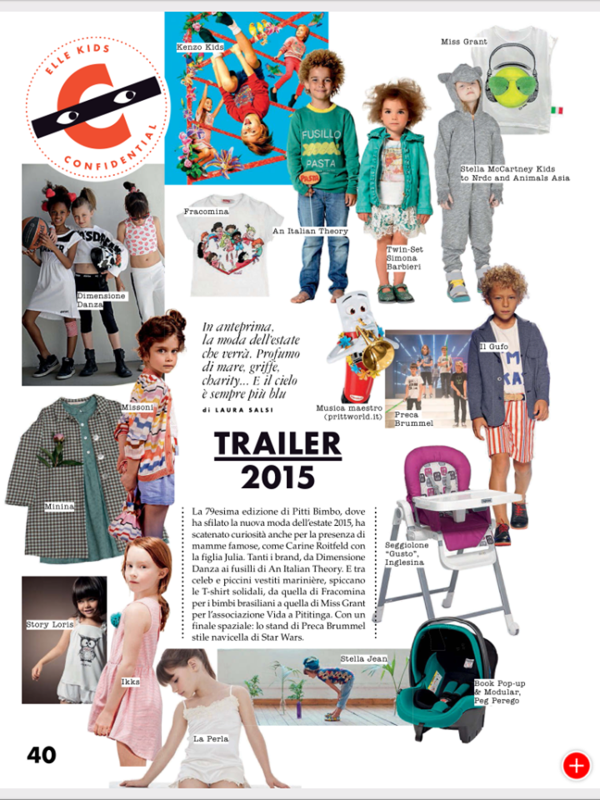 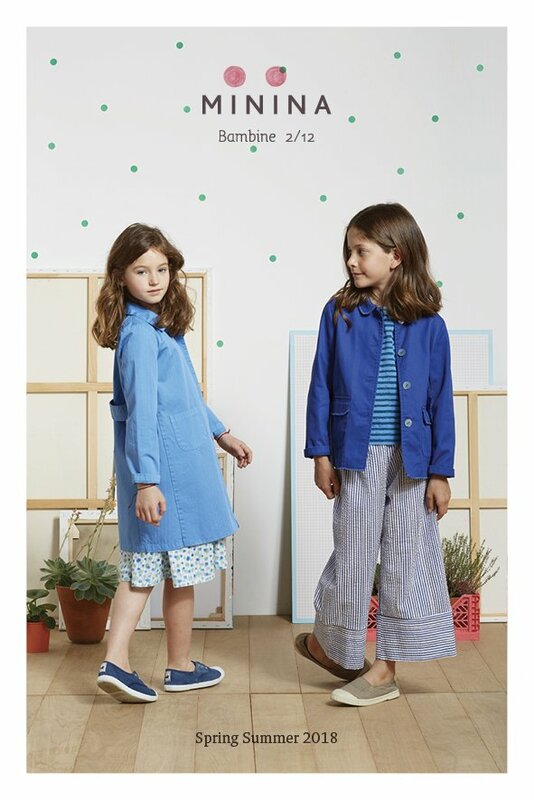 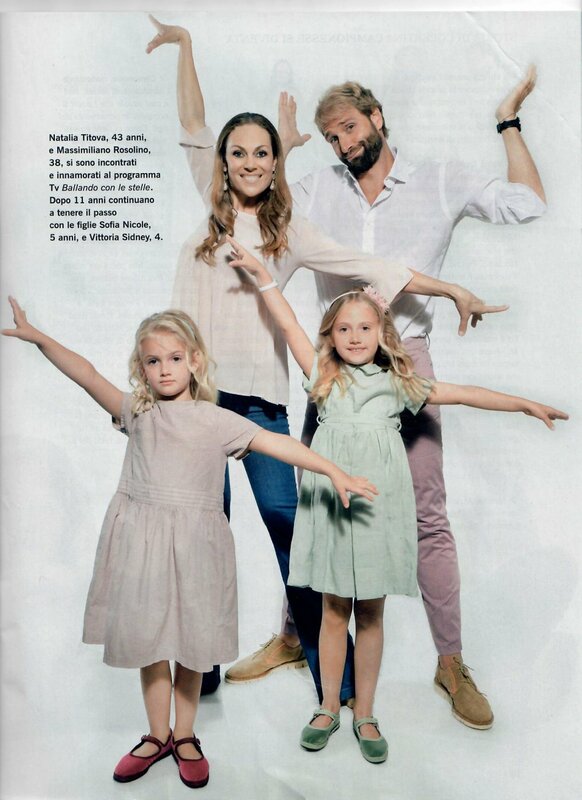 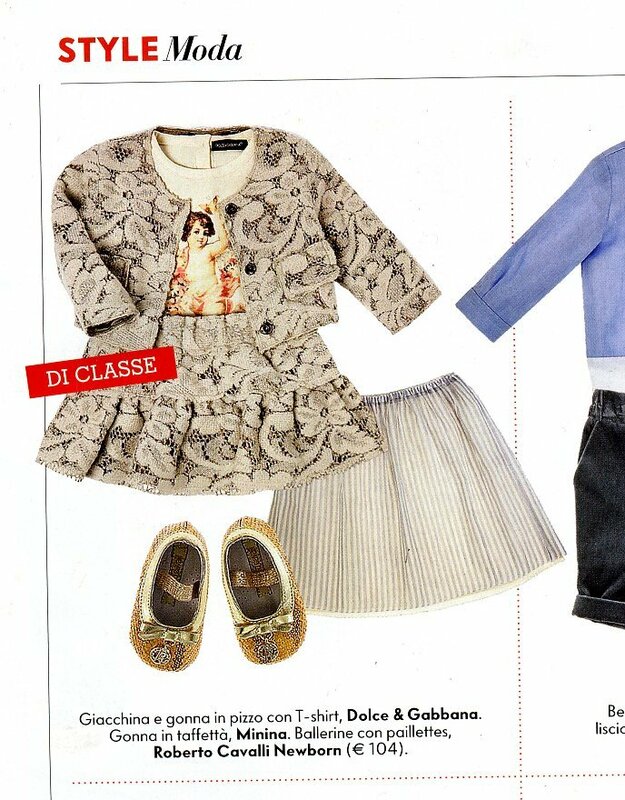 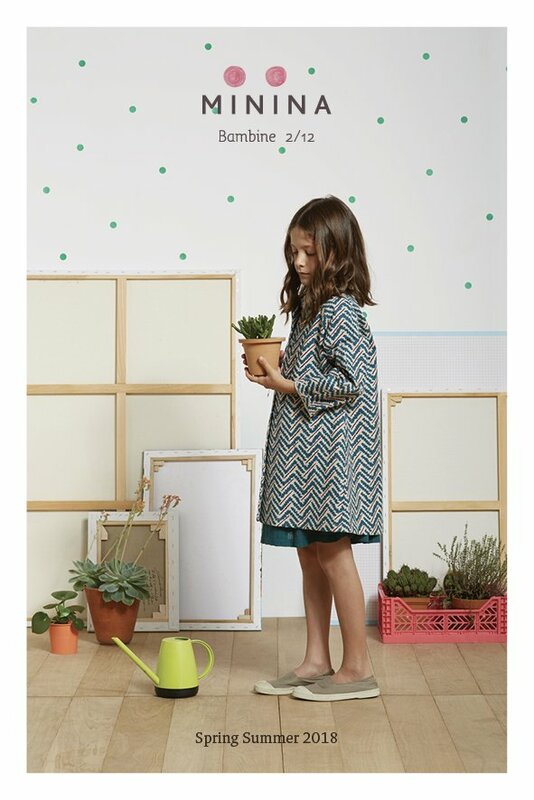 Our coat of the ss 2015 collection on Elle kids! 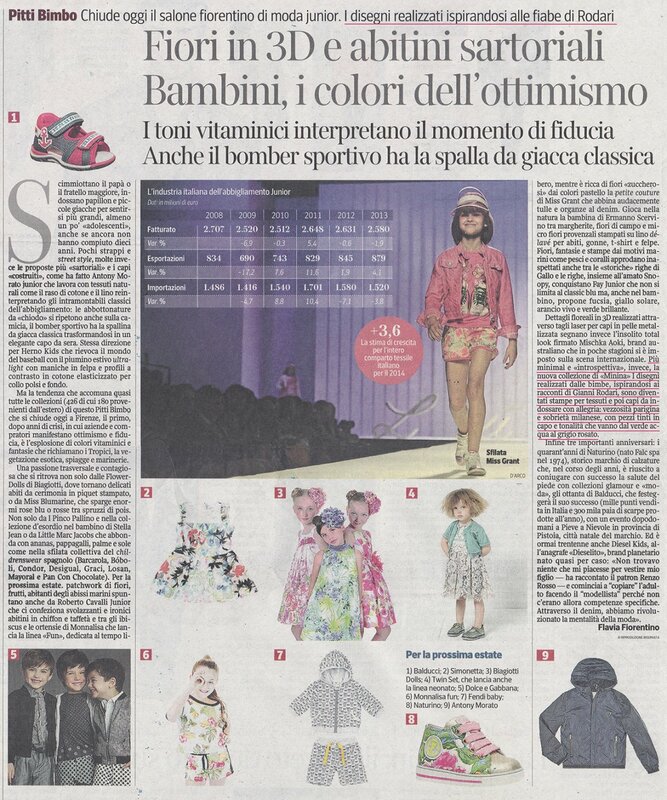 The Minina collection ss2015 on the Corriere della Sera of June 28th 2014! 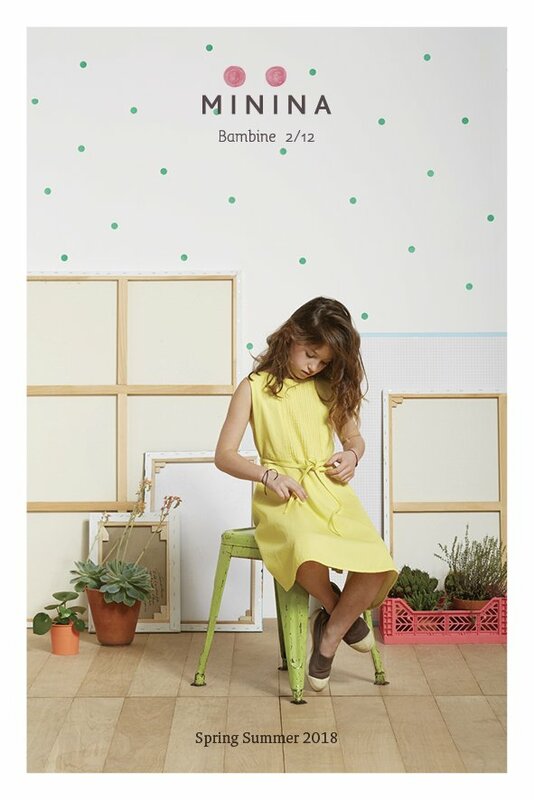 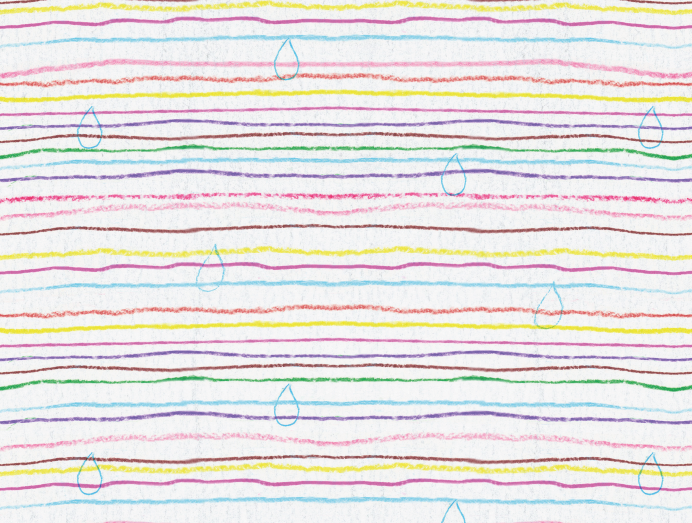 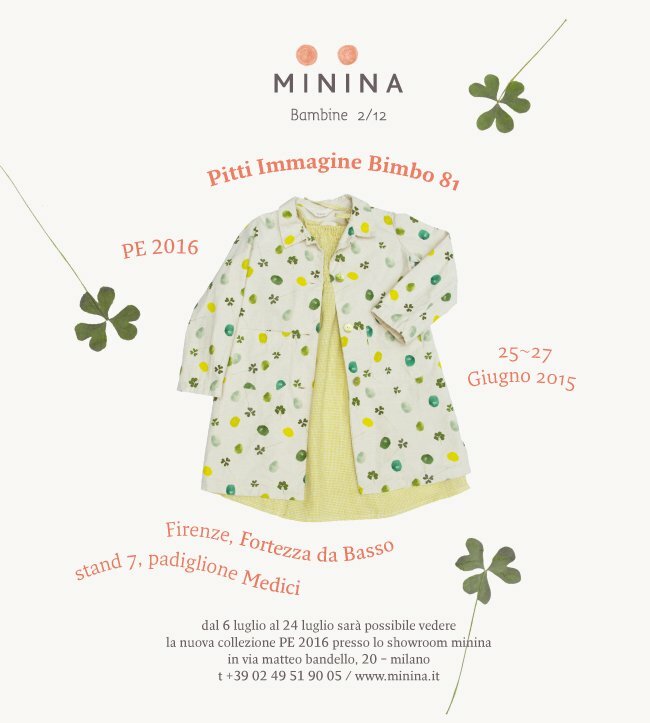 From the 26th to the 28th of June we will be at Pitti Immagine Bimbo to present the new SS 2015 collection. 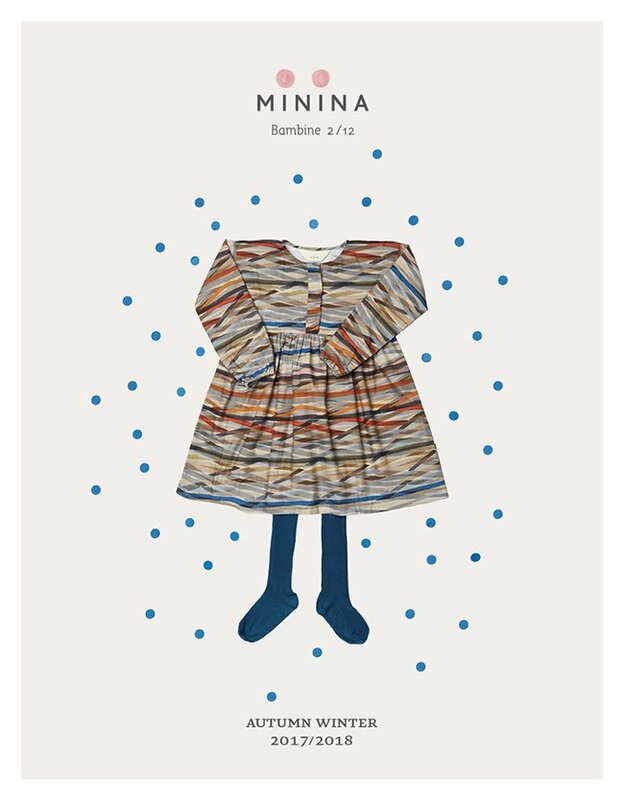 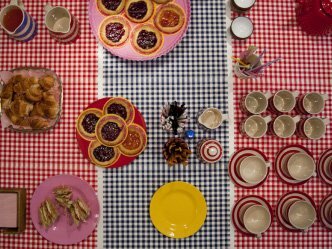 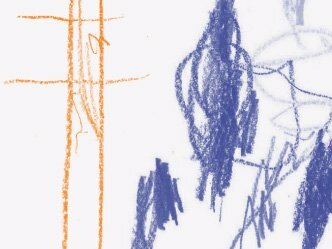 Many girls, white sheets, markers, crayons, stories (and some biscuit) to help design the fabrics minina for the next collection. 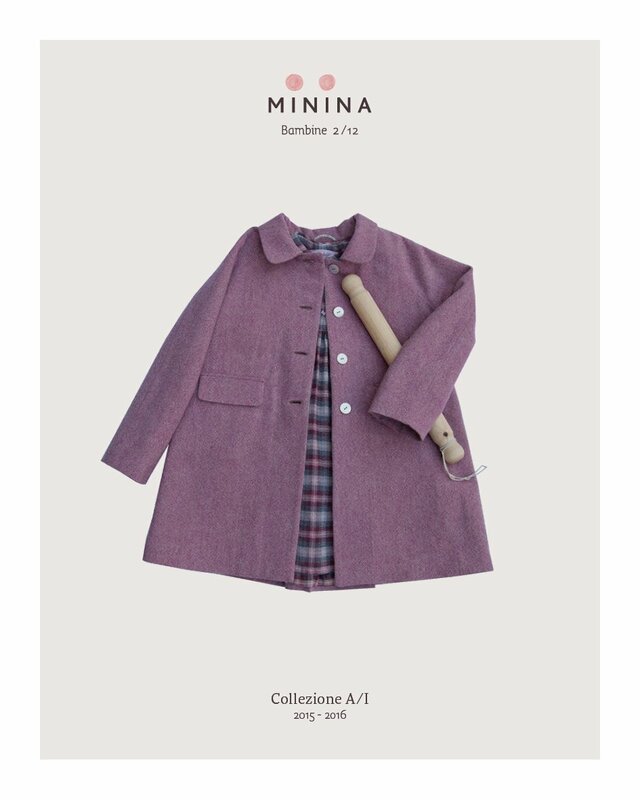 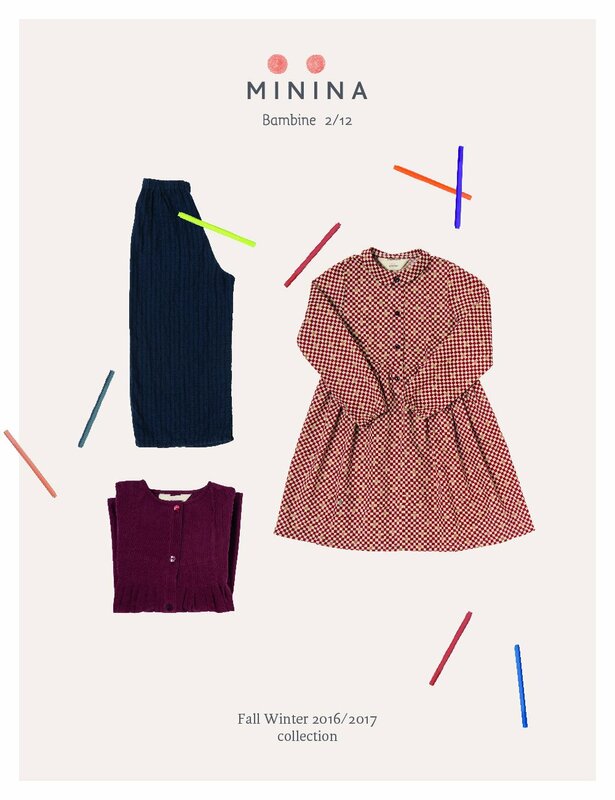 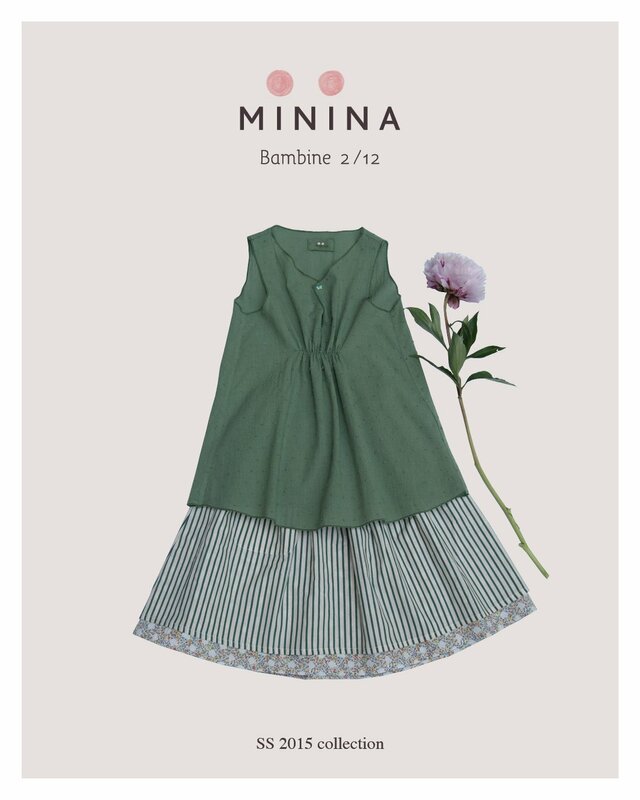 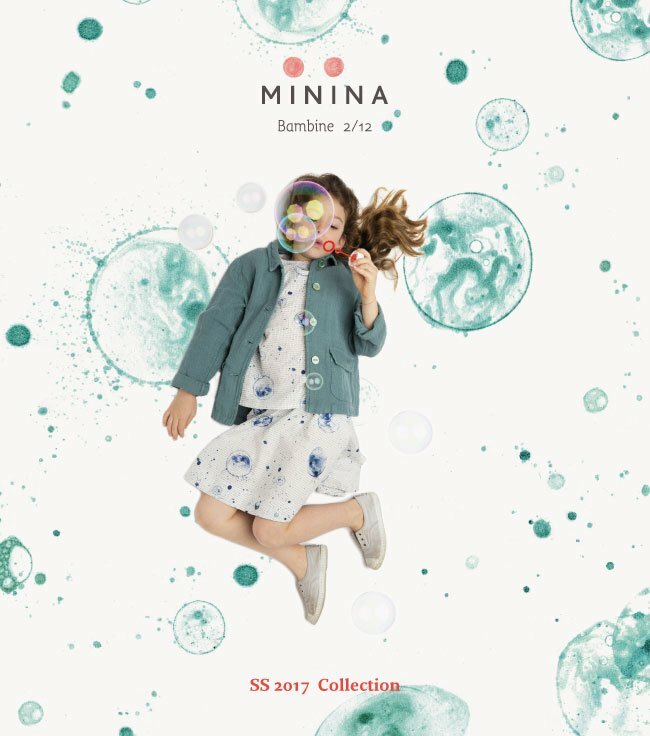 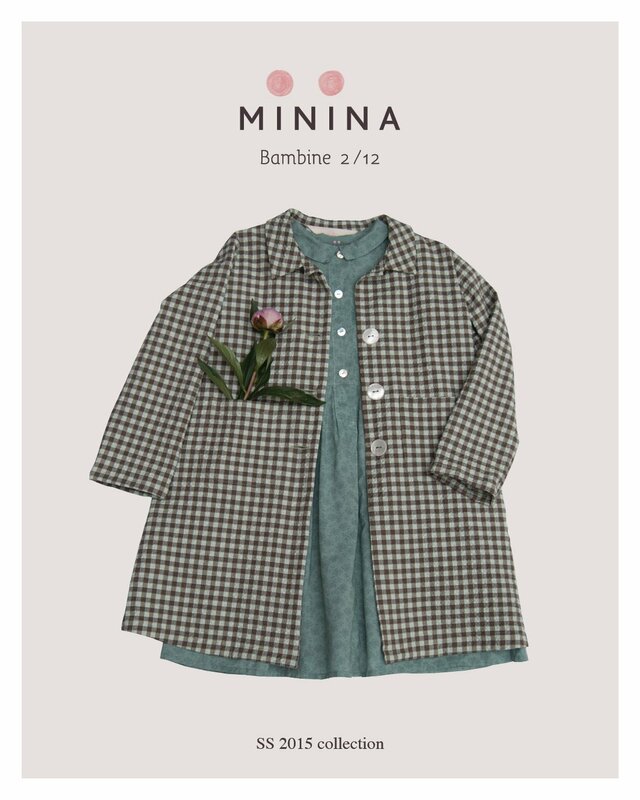 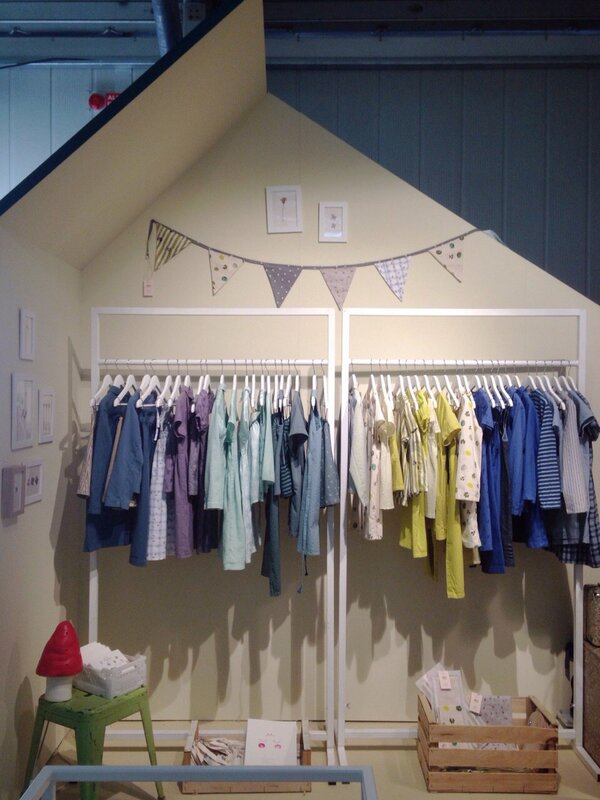 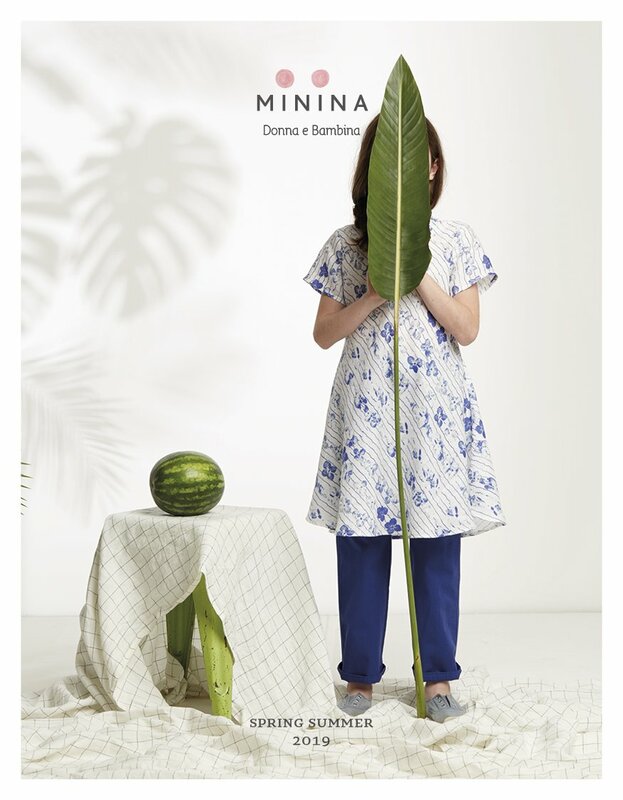 From February 5th to 28th Minina presents its new Fall Winter 2013/2014 collection. 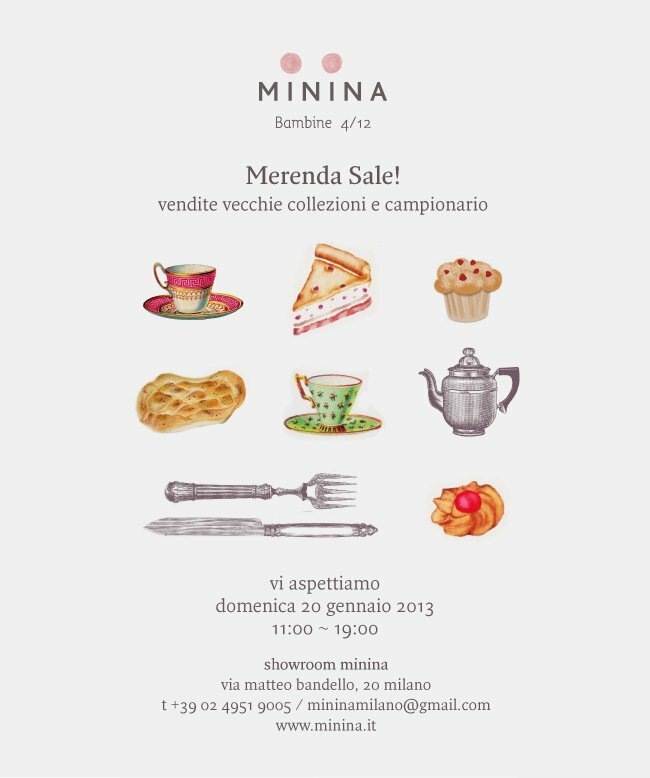 Special sale of old collections with snack. 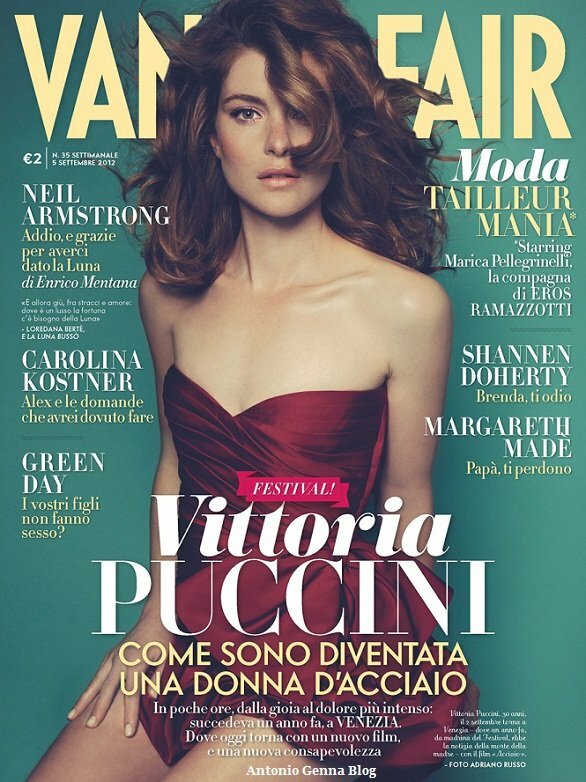 The taffeta skirt Minina of Vanity Fair in September. 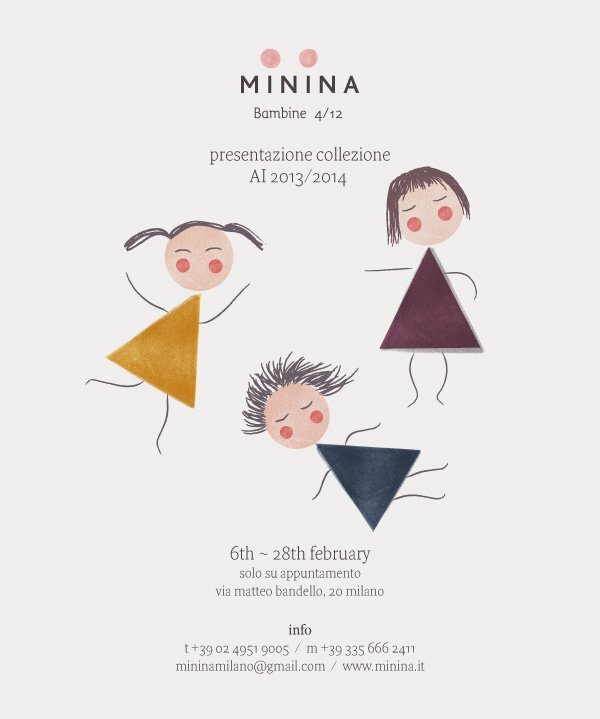 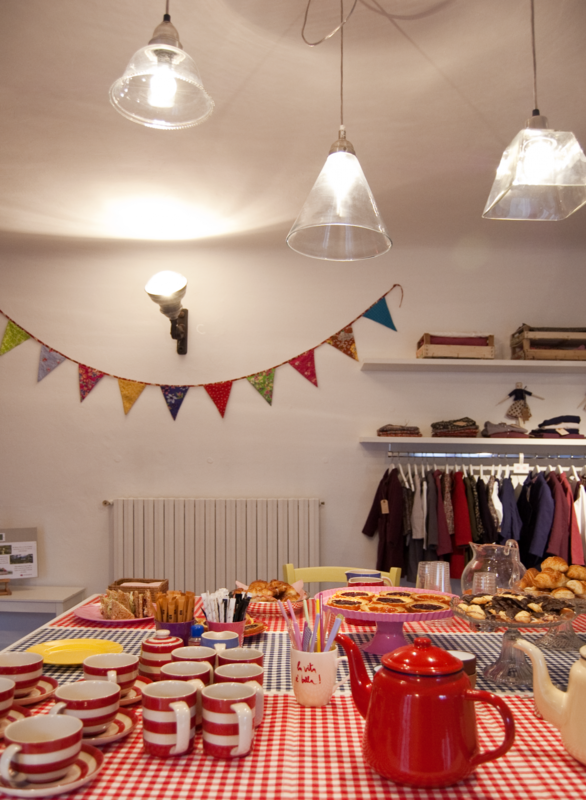 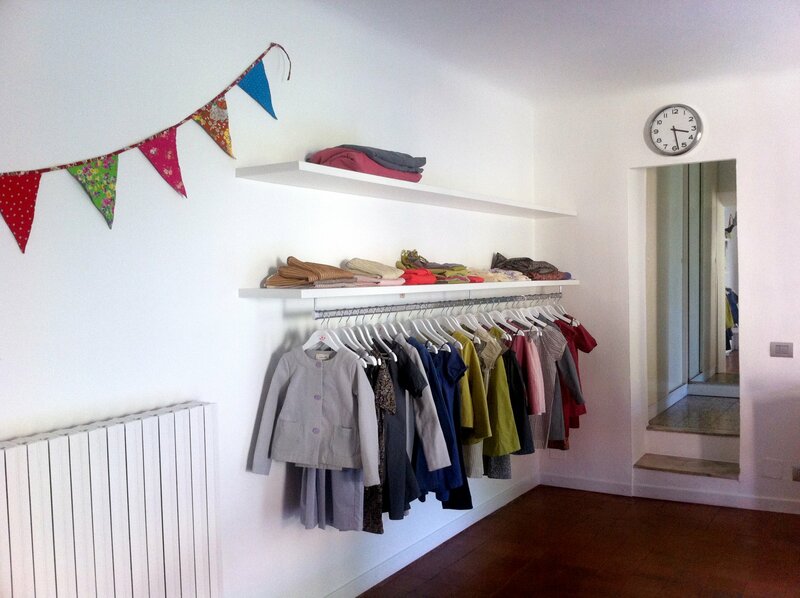 Minina opens its new showroom in Milan, in Via Bandello 20. 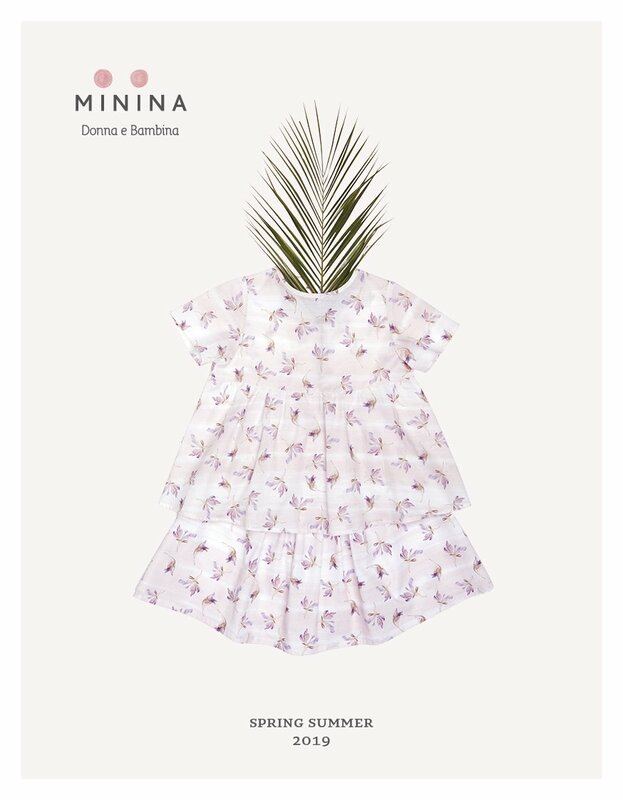 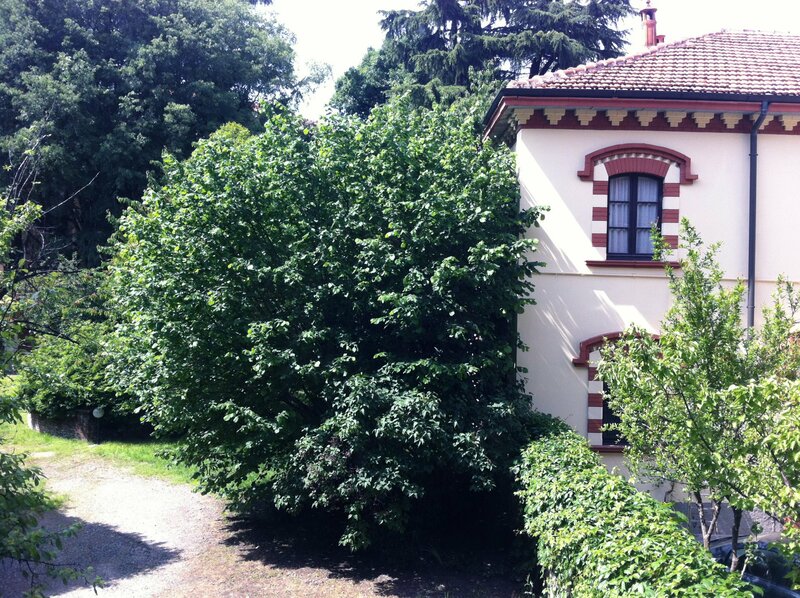 Light, color and nature combined with elegance to accommodate ladies and “minine” of all ages! 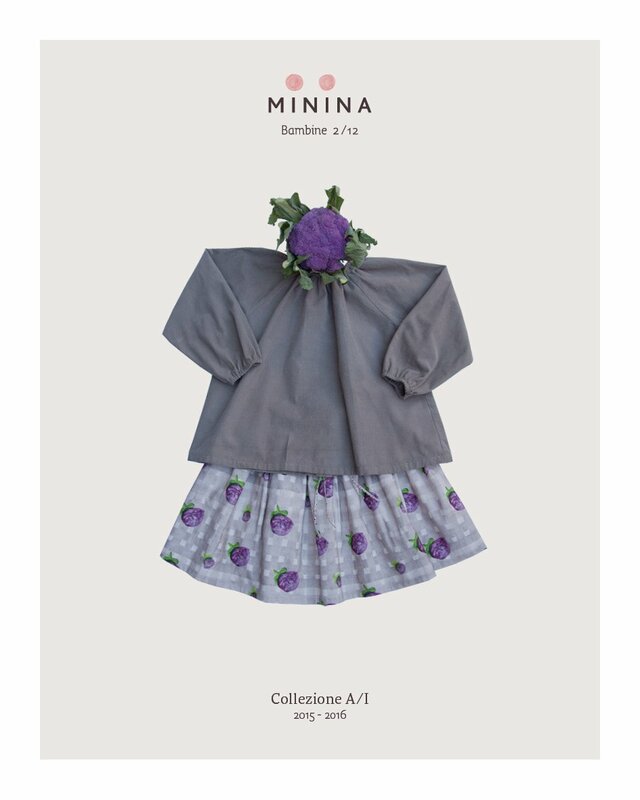 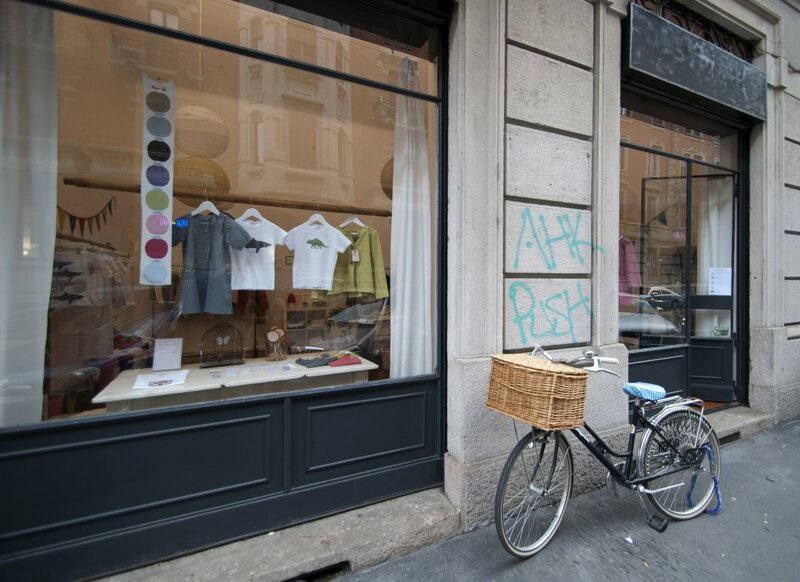 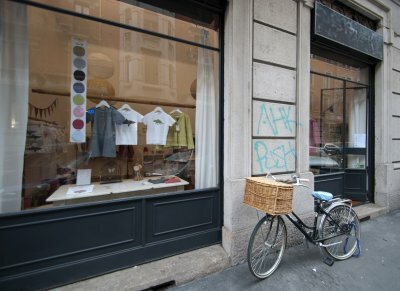 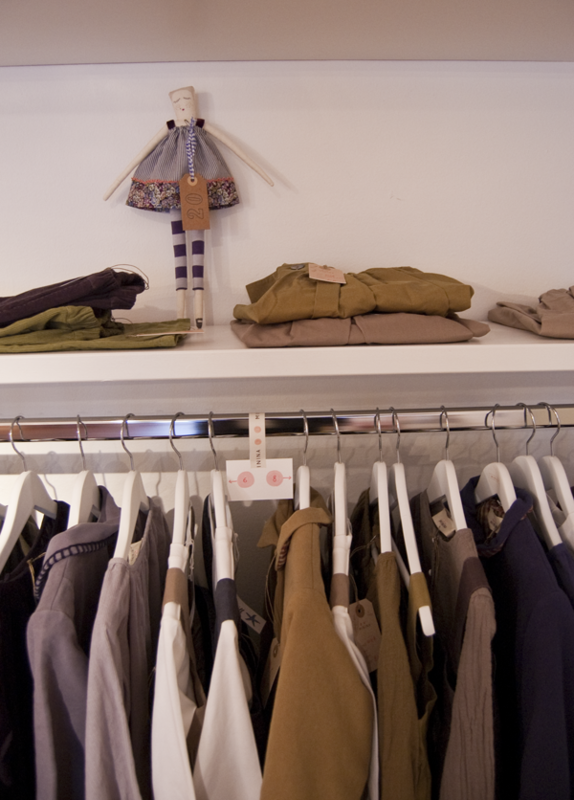 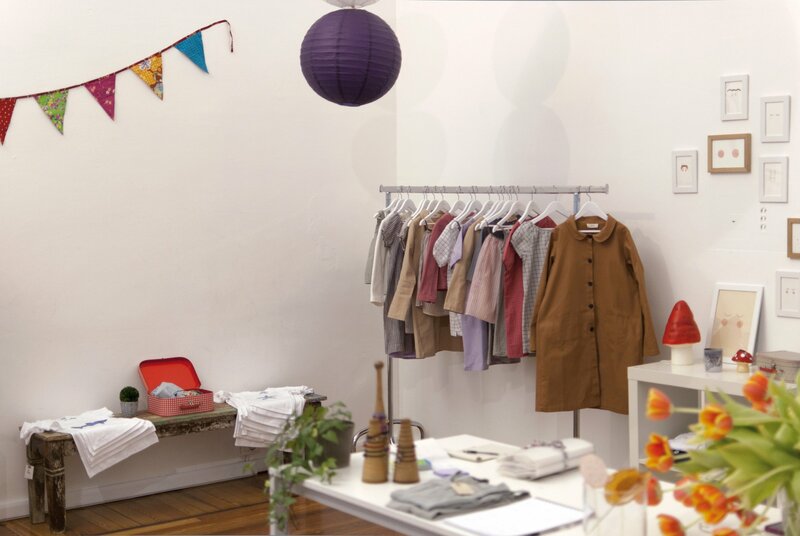 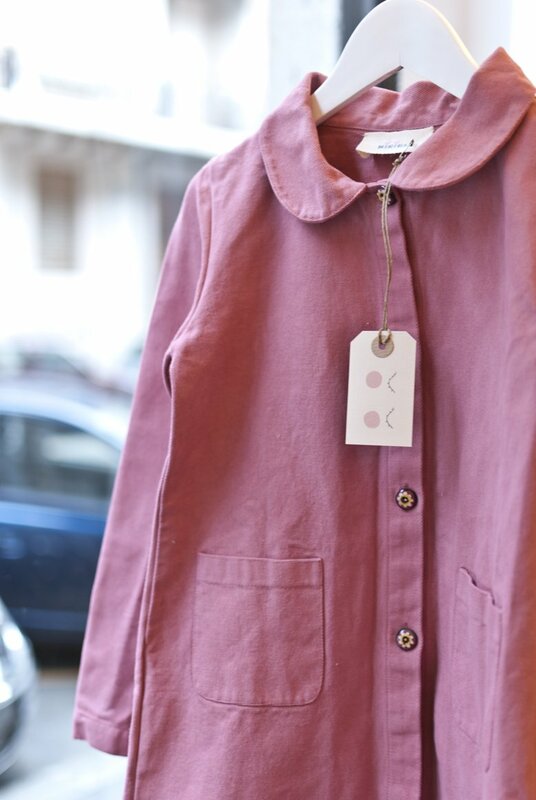 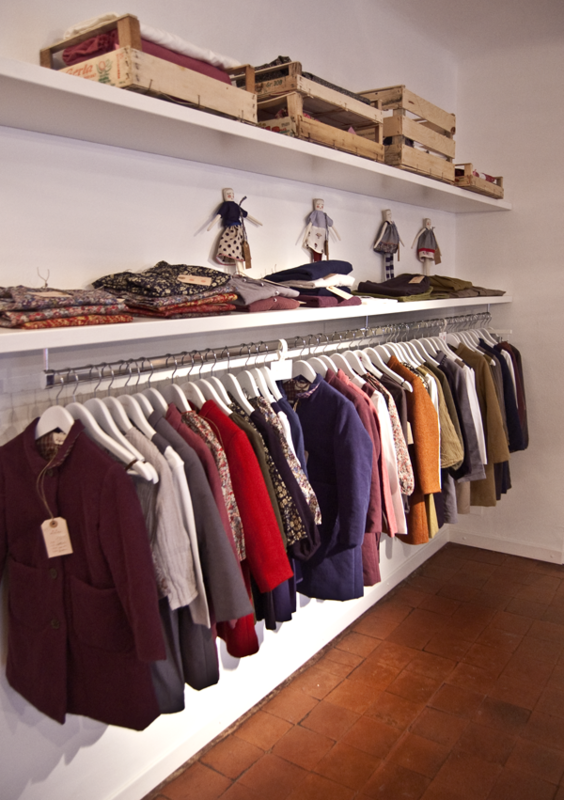 All garments Minina of the Spring Summer 2012 on sale at Lo Spazio, in Cosimo del Fante in Milan. 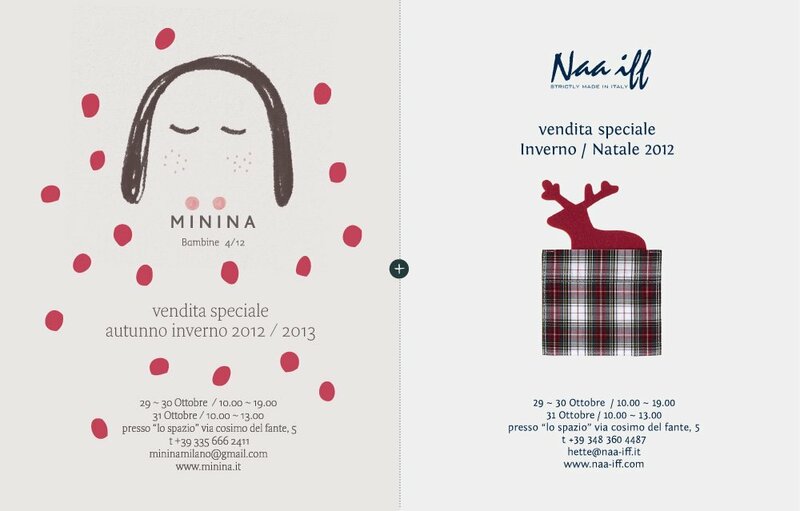 With us, there will be “Naa-iff” with his funny t-shirts.